A new commandment I give unto you, That ye love one another; as I have loved you (John 13:34). “Thou hast answered right: this do, and thou shalt live,” Jesus said. “Who is my neighbour?” the man asked. Jesus answered by telling him a parable. A Jewish man was traveling from Jerusalem to Jericho when thieves attacked him. They took his clothes, beat him, and left him near death. When a Jewish priest came down the road and saw the wounded man, he crossed to the other side of the road to avoid him and continued his journey. Next a Levite, also a citizen of Judah, approached. He looked at the wounded man, then he, too, crossed the road and went on his way without helping the man. Finally a man from Samaria came along the road. The Jews and the Samaritans were bitter enemies, but the Samaritan saw that the injured man needed help. He bandaged the man’s wounds, put him on his pack animal, took him to an inn, and cared for the injured man there. When the Samaritan left the next day, he paid the innkeeper to look after the man until he got better. He promised that if caring for the man cost more, he would pay the innkeeper the next time he was there. “Which now of these three, thinkest thou, was neighbour unto him that fell among the thieves?” Jesus asked the lawyer. We should each follow Jesus Christ’s example by loving and caring for one another. As we do, we will know that Jesus’ teachings are true and our faith in Him will grow. Therefore all things whatsoever ye would that men should do to you, do ye even so to them: for this is the law and the prophets (Matt. 7:12). A fable is a story meant to teach a moral lesson. The characters are often animals. And although the story could not have happened, the lesson is valuable. “The New Animal” is a fable with a very important lesson. 1. Mount animal parts on heavy paper, then color and cut out. 2. While telling story, put parts together as each animal discovers how he is like Zelmgid. 3. Tell what you think moral of story is. The other animals stared in amazement. The zelmgid did not look like any animal that they had ever seen. He had a long neck and a long tail, and when he opened his mouth, he barked. One by one the other animals turned away from the cage. Because the zelmgid was so different, they were not sure how to treat him. The zelmgid was very lonely. The animals ignored him, so he had no one to talk to. He was so sad that he didn’t eat. The zookeeper began to worry. People stopped visiting the zoo because the new animal was sad and the other animals hid in the backs of their cages. Just then the zebra trotted by the cage. “His coat has a very nice pattern,” she said. Finally the duck waddled by the cage. “What fine feet you have. You probably can swim faster than I can,” she said to him. The zelmgid stopped crying and thanked the duck for the compliment. Soon all the animals were talking together. They felt much happier. 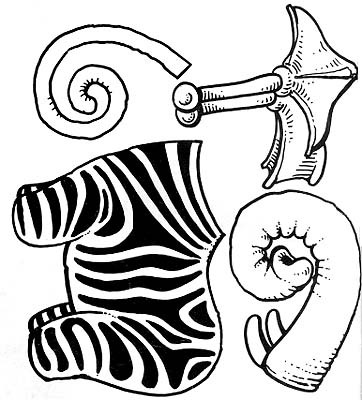 Even though the zelmgid looked different, the other animals had all found something about the new animal that they liked. 1. 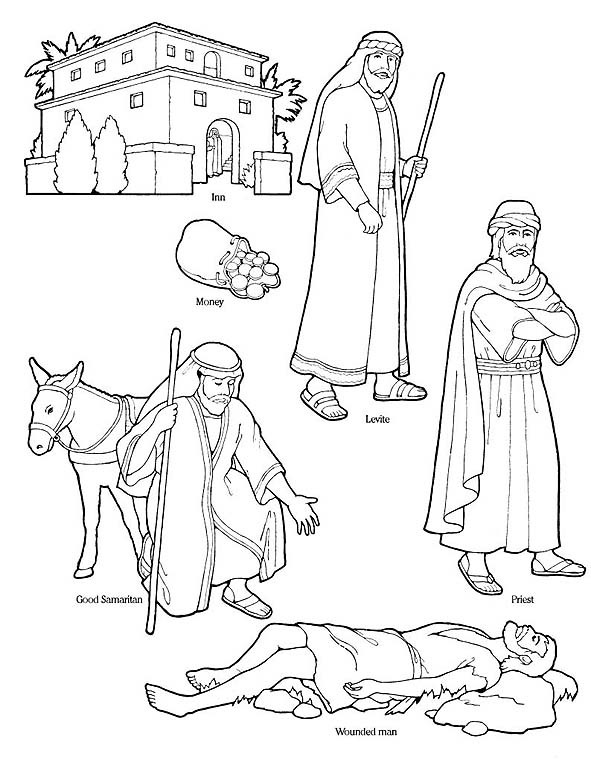 Make copies of zelmgid parts for each child to color and cut out. Or put together for younger children, then make copies for them to color. 2. As you tell story, have children hold enlarged pictures of other animals. 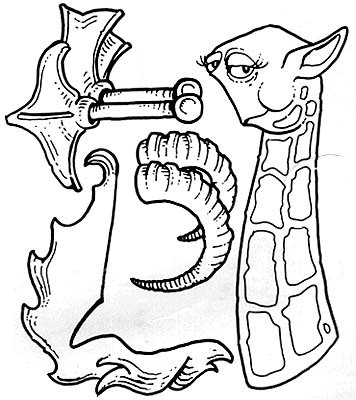 Invite child to arrange them so that first letter of each animal represented spells zelmgid. 3. Carefully discuss differences with involvement directions, such as: “All children with brown eyes raise their hands.” “Those with freckles stand.” “Those who can whistle, whistle.” Be sensitive to situations in class in which you can give support to children. Lead to conclusion that we can find something that we like about everybody. 4. Discuss Golden Rule (Matt. 7:12). Who taught us this? Challenge children to apply Golden Rule during week and report their experiences. 5. Sing “Little Things” (Sing with Me, B-49) and “Have I Done Any Good?” (Hymns, no. 223).